Now first a word from Book Addicts Anonymous, or BAA – yes it does sound like sheep. So, all you book addicts out there who are blaming me for enabling your addiction need sit back and take personal responsibility for your lack of control. The fact that I’m a Book Addict does not mean you must be as well. (If you think this sounds like your mother saying, “Don’t do as I do, DO AS I SAY!”, you’re right, it’s exactly like that.) Just because I set a bad example is no reason to fault me for your personal addiction. That’s YOUR problem. I have my own. Like an American Express card with way too many Amazon charges and towering piles of books to be read. So deal with it ………… and pass the Cheetos. Now, it’s been a busy month on the book front. Let’s get started with some reviews. And quit hogging the chocolate! 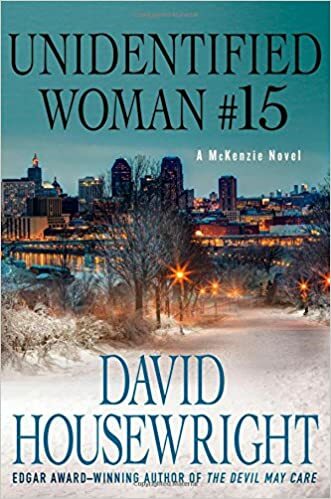 David Housewright is a very reliable and often inspired writer with his McKenzie books. Here he does very good job with a rather predictable story arc about an ‘amnesiac’ young woman known only as Unidentified Woman #15. He was there when two people threw her from a pickup and started a chain reaction accident on a snowy road when he stopped to keep from hitting her. His old cop buddy, Bobby Dunston, asks him and his steady girlfriend, Nina, temporarily take her in when the hospital releases her. Neither man quite believes her story. 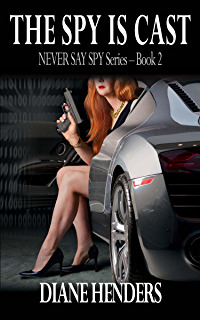 When she disappears with some of his ready cash and 2 handguns from his collection, he and Nina both want know what’s going on. She let one clue slip, Deer River. And what might be a nickname, L, or Elle, or El. Housewright creates a series of characters with a sure hand and begins spinning the tale of a supposedly nameless young woman who might be from Deer River. As he begins unraveling the mystery that links garage sales to a series of thefts, to Big, the nameless power that has everyone scared, he slowly connects the dots. He also becomes sure the one thing El isn’t is innocent or an amnesiac. 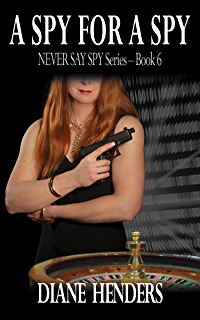 A highly readable combination of wry humor, action, and a mounting number of dead bodies that spin the mystery out. 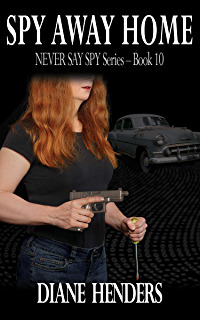 For fans of classic PI style mysteries in the vein of Robert B. Parker and John D. McDonald, you can’t beat Housewright. While not equal to his book, The Jade Lily, Unidentified Woman #15 is still a recommended read. I give it a solid B (4*) rating and suggested read. Housewright rarely comes out in mmpb, and the HC, which I bought from Amazon, rarely gets cheap, so if you’re looking for a price break, it will take awhile. Book Closeouts does offer his titles at excellent remainder prices. Used book prices tend to stay high as they are not that many available, but do look. 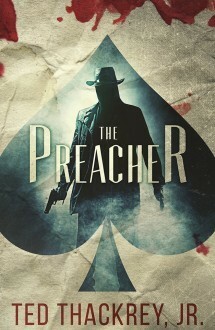 His books are worth the effort for fans of the genre. Amazon had a pre-publication price that was hard to refuse, so I bought this one. I usually wait to get mine through PBS, but with their change to paid membership for full benefits, not easy to do for this author. Gabriel Allon is about to become a father and head of The Office, what we would call Mossad. 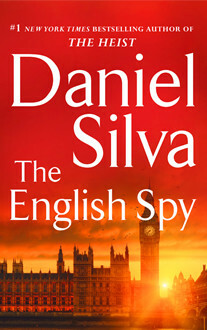 An accomplished assassin and famed art restorer, he is not anxious to go back in the field, but he gets dragged in by a past debt to MI-5 and the young woman he rescued from Russia (The English Girl). But what really pulls Gabriel back into the field is the chance to catch the man responsible for the bomb that killed his son and sent his ex-wife into life in an institution. Eamon Quinn, the IRA bomber just blew up the yacht a British princess was on (a Diana clone moved to the current date), he was also the man who got away when a certain SAS operative was sold out as a Britsh spy in the Real IRA, the most violent offshoot of the IRA . To destroy the peace process, Quinn planted a car bomb in Belfast that killed dozens and injured more after calling in a bomb threat that deliberately had police driving crowds TO the bomb. Hunted by the IRA and the Britsh, Quinn becomes the bomb teach to terrorists from all over the world, especially the Mid-East. Quinn’s current employer is a head of state furious at be denied the oil and gas leases in the North Sea he’d gotten the British PM to agree to under duress – the Russian Prime Minister. Now he wants Britain and Allon to pay for thwarting him. Allon is wise enough to know he’ll need help, that person is the British hitman who works for a Corsican Don, Christopher Keller. Keller knows Quinn and has good reason to hate him. More importantly he knows all the players in Northern Ireland where peace is a very uneasy condition with hate still running deep. Quinn has worked with Gabriel a number of times, and he finds himself restless enough to agree and go back to his roots, roots he’d left behind in the Mid-East when he was a sole survivor. The hunt is on and a thin trail of clues is all they have. Too late they realize that trail was left by Quinn who is leading them into a trap. A really well-done novel of international spies, intrigue, double-dealing, and three shrewd men playing a chess match with lives at stake. The English Spy seems to continue the slow transition from Gabriel in the field to Christopher Keller taking the lead. The one shortcoming is that lack of growth in Keller’s character. While we get more background on him, he’s still lacking that third dimension that always made Allon an appealing protagonist. 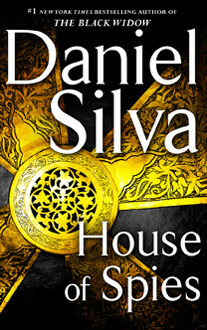 Sill, Silva has done a marvelous and detailed job with the story on many other levels. 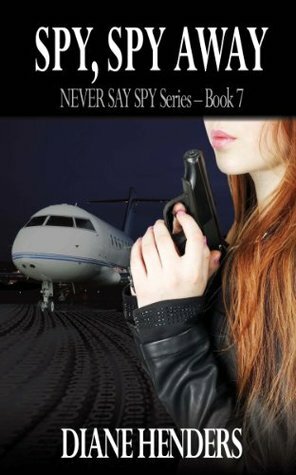 The English Spy gets a solid B (4*) from me and a suggested for lovers of spy, assassin, and intrigue novels. I paid under $15 on an Amazon pre-order and it is current just over that mark, so remains a decent buy. This author’s book do go mmpb and are usually available in your local library. At just under 500 pages in HC, the mmpb will probably be around $10 and in small typeface, so take that into consideration. You will be able to find good used copies before the mmpb is released. The first two books in A Lion’s Pride series by paranormal romance author Eve Langlais are both short, easy reads. The plots are kind of thin and both sets of lead characters lack depth, but that’s not really her forte. The bright breezy dialog in When an Alpha Purrs is classic Langlais. Both books have a ‘woman in jeopardy’ element for the heroines, but otherwise they are different. The heroines are very different people, but the pride males have a lot of common traits. Arik Castiglione is not only a billion and alpha of his pack, he’s also something of a fashion plate and deeply attached to his perfectly styled mane, which is in dire need of a trim. Too bad his long-time barber is off on a well earned visit with family and his mouthy niece is his substitute. Kira is fresh off having her beauty salon burned down by her stalker ex-boyfriend who has gone off the deep end. So she came half way across the country to her uncle’s NYC barbershop to find a new job and new life. Instead, she found another controlling male who wanted to boss her around because he didn’t trust he ability. HER!!!!!! She was an excellent stylist and he was still wearing his hair like some rebellious teen! His superior attitude finally drives her to do something drastic – and she expresses her intense displeasure by lopping off a huge hunk of his precious hair and raining down the now unattached hair in front of his face. Arik, stunned by the temerity of the mouthy hairdresser, waits just a little too long to give chase and loses her on the streets near a fish market. He vows to get even, especially after his beta teases him unmercifully about his pride and joy hair. But Arik is surprised to find his planned revenge derailed by his attraction to the impossible woman. Worse, when he delivers her home to her small apartment there’s a crude threat painted on her door. Kira plays it off despite being obviously scared, but Arik smells wolf and calls in help from the local wolf pack. From here on out, the story gets very formula and its brief length keeps and character and plot depth shallow. 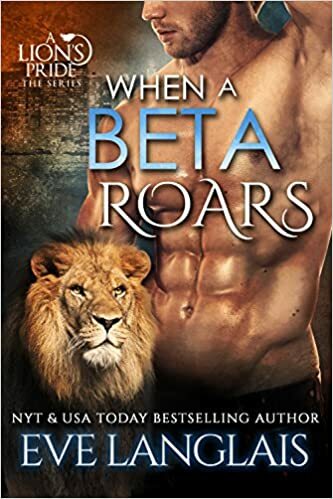 In When a Beta Roars, Arik’s beta, Hayder, is sulking as only a male lion can when he gets asked to babysit a wolf shifter that Arik granted protection in the well-guarded condo complex where the pride lives. Arabella is the city wolf alpha’s sister, but Arik is the city Alpha of all shifter so even Jerrod answers to him. Arabella had a miserable mating to a much older alpha wolf of a large clan. His best feature is he’s now dead. The worst is all the other males want to fight to make her their mate – with every intention of killing her for the inheritance. It wasn’t any brilliant deduction, they flat out told her. Jerrod’s pack is no match for her old one and she knows they’re hunting her, so the safest place to keep her is with a lion pride. Then Hayder walks in like he owns the place. Arabella has spent years with her head down and eyes averted to keep the abuse to a minimum. It was so bad, her wolf left her and she hasn’t shifted in years. Hayder is having none of that and his when she finally snaps at his bold and arrogant assumptions, he laughs and encourages her. He seems to enjoy her feisty side. Hayder is determined and patient. Arabella is slow to emerge from her shell, but like a turtle, her fiery spirit peeks out more and more as she slowly grows more assured. Despite the more serious theme, Langlais still manages a light and humorous edge to the romance of an abused woman. This story had more substance than the slight and airy Alpha book, but remains a short, rather shallow novel, though a better one overall. 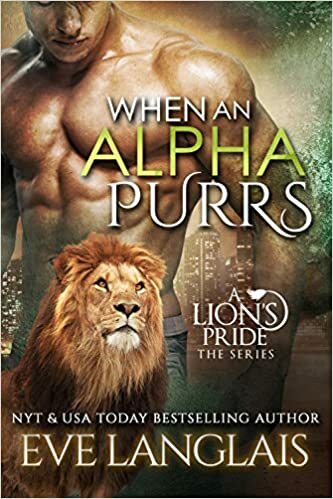 When an Alpha Purrs gets a C (3*) and When a Beta Roars gets a C+ (3.5*) though both get much higher ratings on Amazon. I bought the Alpha book in print and the Beta book in ebook. Both are much too short for the price. The book-length is under 200 pages for each title. Frankly, at $3.99 the ebooks are overpriced for the length and the $8.99 for print is simply outrageous. Both are modestly amusing and can be read in a fairly short single sitting. She’s done better books. Kristen Painter is well known for her paranormal vampire series, the House of Comarré, a rather dark and complex series. Here she takes a very different tone with an upbeat romance about a waitress who accidentally witnesses a murder which she records on her iPhone and finds herself on the run from mob killers. 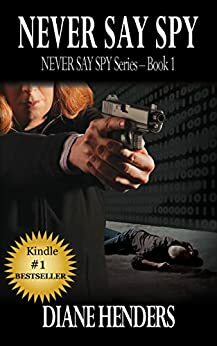 Evading the people chasing her, Delaney James finds the file of a woman heading to a place called Nocturn Falls, Georgia to marry a man she’s never met or seen. Well, the man has never seen her either, so it works out all around after she calls the woman from the road to say the arrangement has fallen through. Hugh Ellingham cannot believe his grandmother arranged for a mail order bride for him through some ‘discrete match-making service’ because SHE wants great-grandbabies. When he refuses, she threatens to take back the magic talisman that her 300-year-old witch created for each member of her remaining family. A Duchess in England, she still rules her grandchildren with an iron hand and the threat to remove their ability to walk in the daylight. Delaney has no intention of hanging around Nocturn Falls forever, even if it is Halloween every day. It’s kitschy, over the top, and like candy irresistible. And lordy, Hugh Ellingham’s place is an estate with a mansion! Talk about out her element! Yikes! But her life is depending on laying low and making sure no one followed her from New York. That means playing the game for at least week. She just hoped she’d last that long. Hugh is very drawn to Delaney, she’s sharp, witty, perceptive, and she’s pretty easy to look at, but Hugh had a terrible experience with his wife dying and hundreds of years later, so he’s still resistant to remarrying. He quickly discovers she’s lying about her identity, thanks to the town’s werewolf sheriff, but the two make a deal – she’ll stay and they can tell his grandmother they are unsuited. But plans sometimes don’t work out quite as expected. 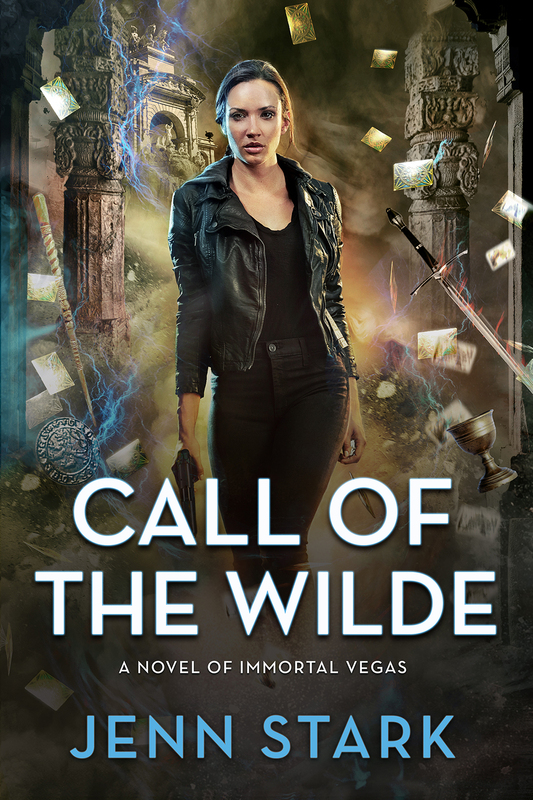 At 370 pages in print, this lively paranormal romance was entertaining, had sharp dialog, well-drawn characters, and well done, if unoriginal cast. Like all romances, there are improbable serendipitous events used to progress the plot that are contrived and the characters rather stock, especially the over-bearing grandmother and bitter ex-girlfriend, but nonetheless it succeeded in entertaining and keeping the reader’s interest. 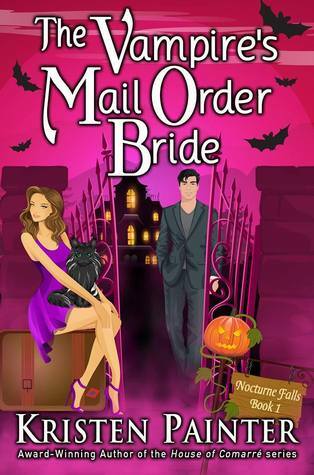 The Vampire’s Mail Order Bride gets a C+ to B- (3.6*) from me. Buy the ebook for a better deal, but the print book is not over priced. Nothing like her better known series. 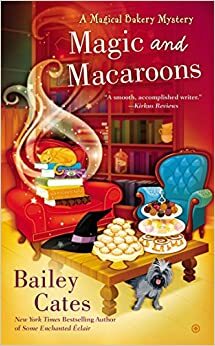 The Magical Bakery series by Bailey Cates set in Savannah is one of the better cozy series out there – which is kind of damning with faint praise given the level of competition. 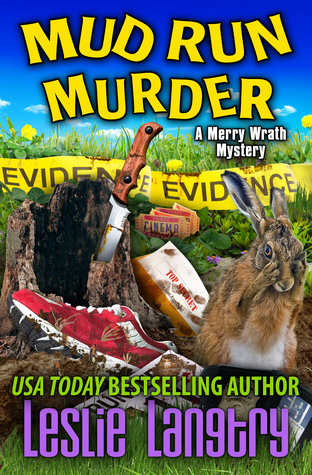 Like all cozies, it’s an easy read, but the writing quality, plot, and lively characters are a cut above. 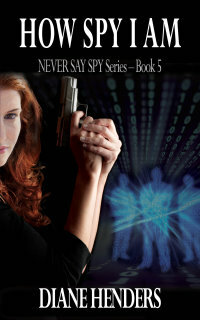 This is the 5th book in the series and the author has kept it interesting so far. Katie Lightfoot returned to Savannah to live and help her Aunt Lucy and newly retired fireman, Uncle Ben, open and run a bakery. She a very good pastry chef and learning her craft as a hedgewitch, sometimes called ‘kitchen witches’ because they work with plants and nature to bring healing to the body and soul, is a big part of her life now. The also believe in the threefold rule, whatever intent you send out into the universe will return to you threefold, so doing evil is highly self-destructive. She and her Aunt Lucy, another hedgewitch, meet with the coven for their ‘Spell Book Club’. This month Katie chose the book and it was written by a very young woman who obviously is under the thrall of a much older male poser. As the conversation turns to other things there comes a pounding on the bakery door and woman calls for help. She collapses and just manages to tell Katie she’s Franklin Tate’s niece and someone stole his gris gris before her heart stops.. Doctor’s are baffled as they can find no cause for her condition, but Cookie knows something, something from her past in Hati. But there’s another surprise, Katie thought Franklin Tate dead for 3 months, he’d sent a message to her through a medium Turns out that Detective Quinn, was once partnered with Tate, someone they once thought was a witch hunter, actually died right here in Savannah in the last couple of days. What the hell is going on? Cates weaves a tale centered on voodoo and it’s many flavors as practiced by its different branches. As Katie dips her toes into voodoo with the reluctant help of Cookie, a Haitian immigrant, they find kind of a mixed bag of skills and willingness to help. Former boyfriend Steven Dawes comes back for her to meet his new girlfriend, whom Katie thinks is a very manipulative young woman after his money. She has no idea how right she is, or how deeply everything is tied together. 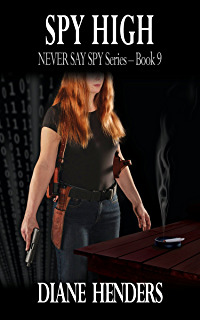 The plot moves quickly and, like all her books, comes back to the core beliefs of those who practice the craft. Some very interesting characters in this one that I hope to see again. Magic and Macaroons get a B- (3.7*) from me and a suggested read. 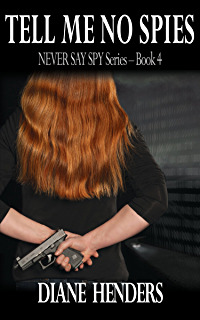 It’s one of the best paranormal mystery series out there. I got a deeply discounted pre-release price on Amazon, but the book is now back at $7.99. Try for Walmart or other discount stores if you want to buy it as Cates is a popular and widely carried author. Every once in awhile, a book title is just so intriguing you simply MUST have it regardless of the fact it’s out of print and the publisher is defunct. Such was the case with The Case of the Virtuous Vampire. How did I stumble across such a niche market book from a tiny publisher? Paperback Swap. Yes, despite what many publishers think, book swapping online actually increased my purchasing of books, it didn’t reduce it. It does the same for many others. Why? Because you find many new authors and/or genres and the waiting lists move too slowly because there aren’t millions of copies sold. But I’ve bought a hundred paperbacks – trade paperbacks (those $14-$18 oversized paperbacks) and mass market paperbacks, many by new or new to me authors. I’ve also bought more than my fair share of hardcovers. SIGH! My apologies for being missing in action. I’ve been experiencing computer difficulties and two of my electronic babies are in the shop – one with a hard drive issue and one with a virus. So I’m on a new, rather stripped down model, trying to carry on. SIGH! Please be patient while I get these issues resolved. Thanks! Jack Reacher is an Army brat raised with his older brother on bases around the world. Schooled at West Point, and a following career in Army, his whole life is intimately tied to the service. In the service and became a first rate investigator in the MP’s, among other things. Now a retired major, thanks to the huge military downsizing in the ‘90’s, and free of the of the regimentation that has been there his whole life. Now he finds comfort moving around at will. Under the radar suits him just fine. No hometown, no family ties, other than a very distant relationship with his Secret Service bother whom he hasn’t seen in years, he’s truly free. But that’s about to change. Donohue is a professor at Albertus Magnus College and a well know author of articles for various martial arts publications. A 30 year veteran of martial arts training, he manages to spin his tales with a voice of authority while never substituting action for plot. 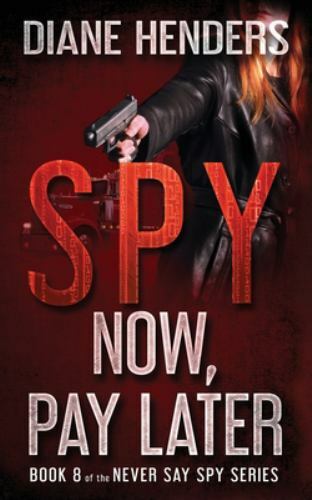 While Barry Eisler is a better thriller writer, Donohue writes the martial arts equivalent of a ‘martial arts cozy’ or ‘amateur samurai’ if you will. J Donohue’s two previous books in this series are Sensei and Deshi and both are very worthwhile reads. Tengu is third in this series and a forth is underway. If there is one recurring theme in the Burke novels it’s ‘A man born out of his time.’ Burke’s inner struggle, the need to find his way between the modern world and his dedication to, and comfort with, the ancient code of his Kendo training, is ever present. As is the always strained relationship with his sensei, Yamashita. There is also Burke’s disdain for the ‘woo-woo magical’ parts of martial arts – some elements of which he has actually encountered and has yet to get his mind around. Martial artist Conner Burke is trying to deal with his current state of unemployment, having been let go from his teaching position by the little Long Island college that had been his nominal employer, while keeping himself busy by taking on more responsibilities at Yamashita-san’s dojo. The always complex relationship between Burke and Yamashita seems to have taken an even odder turn. Burke seems to be consciously avoiding what the sensei is trying to convey to him. In the Philippines a graduate student is kidnapped. Spec Ops warriors are sent on a mission with Philippine soldiers to raid a terrorist camp. As usual, it is through Sensei Yamashita that Burke gets pulled into the action. An old enemy of Yamashita is training and using old Japanese ties and terrorists to draw the old warrior into one last battle. Burke, with homicide cop brother Mike and his partner Art, they make yet another foray into danger together, this time half way around the world in the Philippines. But is there going to be a happy ending here? Like Eisler, Donohue uses the first person to good effect, but the plotting is less complex and certainly Burke is not the world weary killer that Rain is. But he has killed and knows that he’ll do what he must. No, Donohue is not in Eisler’s league when it comes to thrillers, but he has, however, constructed a complete, believable person in Burke and all three of his books are worth reading. Who would enjoy this book: Donohue’s novels don’t fit neatly into any blanket genre. 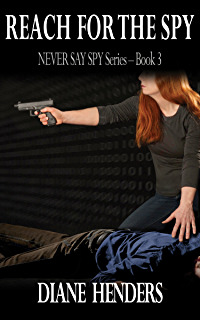 Not wise-guy PI like Spenser or Elvis Cole, not hard case John Rain or Jack Reacher, not Steven Segal fans either – but maybe a little of each. Though an imperfect fit I’d say fans of Doc Ford novels by Randy Wayne White, Thorn novels by James W Hall or Steven Hamilton’s Alex McKnight novels should be happy.